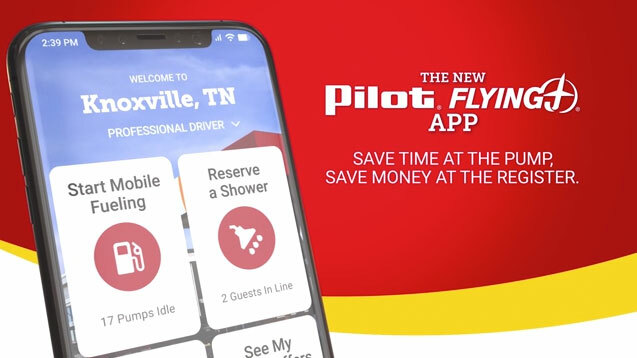 KNOXVILLE, Tenn., April 16, 2019 /PRNewswire/ -- Pilot Flying J, the largest travel center network in North America, announced today the launch of its new mobile app. With features specifically geared toward the professional driver as well as the auto traveler and RV customer, the app is designed to make travel easier for everyone on the road. 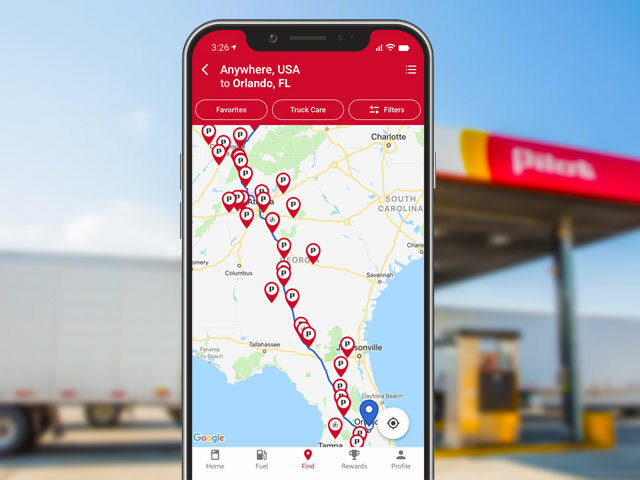 Developed with drivers in mind, the new Pilot Flying J app saves users time and money with a more personalized experience tailored to drivers' type of travel, location, preferences and needs. Pilot Flying J is launching its new app, designed to make road travel easier. 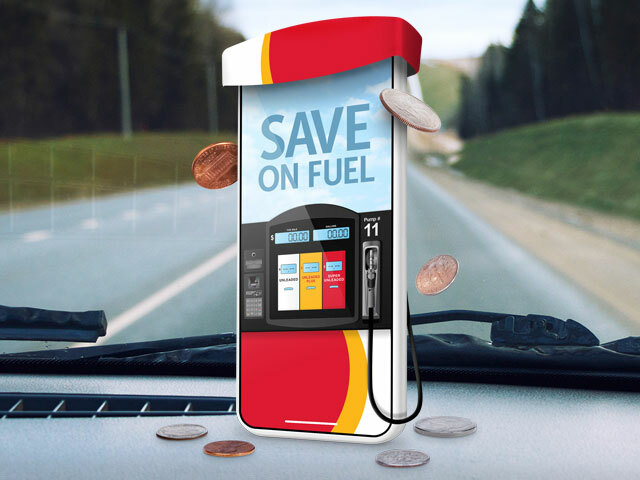 Use the app to find Pilot and Flying J locations, check fuel prices, and save money with daily offers on popular items. Get a free coffee or fountain drink when you sign up for the first time. Use the home screen to quickly navigate to key features tailored to the drivers’ type of travel and location. Unlock savings everyday on meals, snacks and drinks. Offers are available exclusively in the app and can be redeemed in store when you use the app at the time of purchase. Find nearby Pilot and Flying J locations or plan your trip to find the amenities you need. Save 3¢ per gallon on gas and auto diesel. 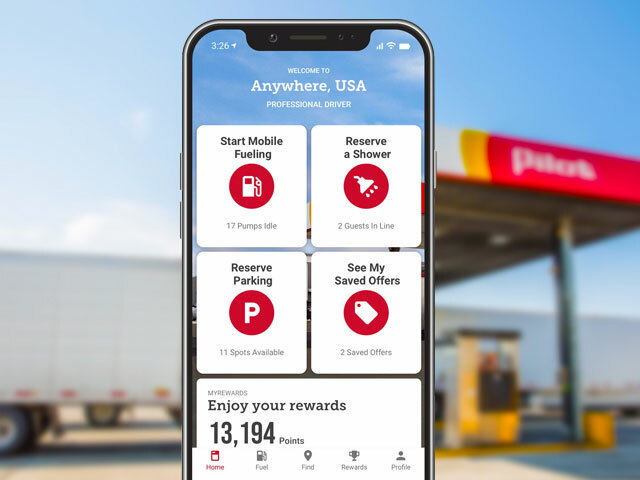 "By focusing on the moments that matter most to our guests, we designed our new mobile app to meet the needs of the driver, whoever and wherever they are on their journey," said Mike Rodgers, senior vice president and chief strategy and information officer at Pilot Flying J. "We know drivers are always looking for convenient and reliable platforms that make their lives easier while on the road. Delivering an intelligent interface with expanded capabilities, our new app allows us to personalize, simplify and improve the guest experience while navigating the highways." Pilot Flying J is celebrating its new app with free drink deals every day in April. 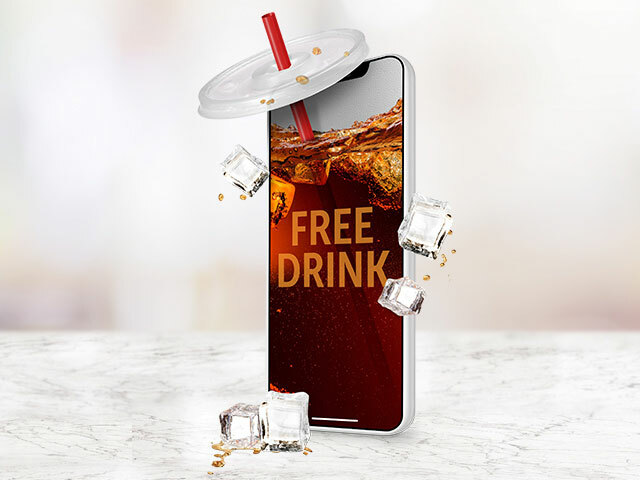 Available exclusively in the app, guests can enjoy a wide variety of Pilot Flying J's most popular drink brands for free in April when they redeem their saved offer at checkout. 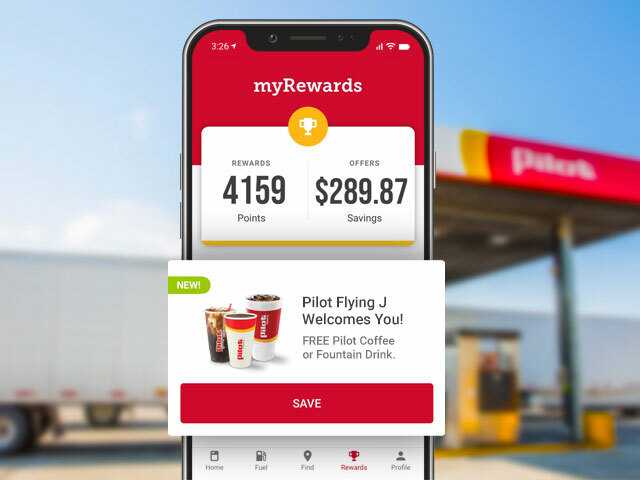 First-time users will also receive a free fountain drink or Pilot coffee and guests can continue to save at Pilot Flying J locations with daily, weekly and monthly in-app deals on popular food and beverages. Pilot Flying J, the largest operator of travel centers in North America, is committed to connecting people and places with comfort, care and a smile at every stop. Headquartered in Knoxville, Tennessee, Pilot Flying J has more than 750 retail locations in 44 states, Roadside assistance available at over 135 locations nationwide and growing as part of its Truck Care program, 44 Goodyear Commercial Tire and Service Centers, and 34 Boss Shops. The Pilot Flying J network provides drivers with access to more than 72,000 parking spaces for trucks with Prime Parking at more than 400 locations, 5,200 deluxe showers and more than 6,200 diesel lanes with 5,200 offering Diesel Exhaust Fluid (DEF) at the pump. Pilot Flying J is currently ranked No. 14 on Forbes' list of America's Largest Private Companies. Visit www.pilotflyingj.com for more information.